If you love salty snack foods, then there’s no better destination for you than York County. 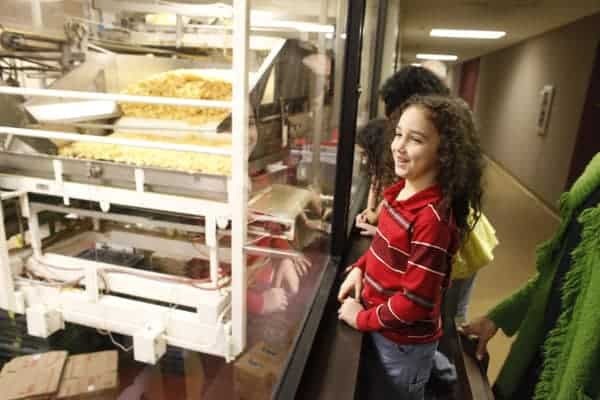 Home to three of the biggest snack food companies in America, the snack food factory tours in York County are a great way to spend the day. You can certainly do just one of them to round out a great day in York or Gettysburg, or you can do all 3 on the same day (Tuesdays only). Whatever you decide to do though, know that each is unique, and you’ll learn something new, even if you do all three on the same day. 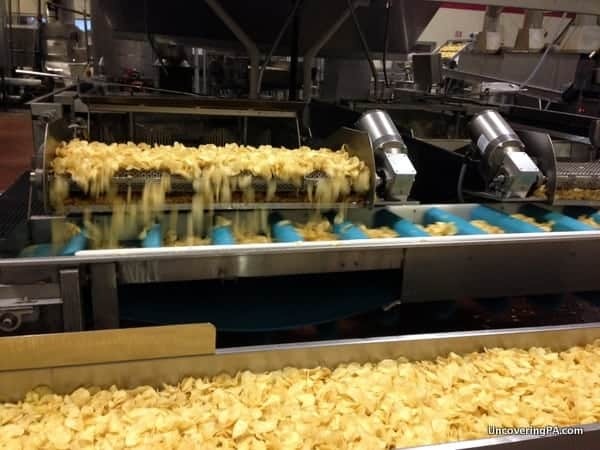 Fresh chips come out of the fryer on the Martin’s Potato Chip Factory Tour. The tour at the Martin’s Potato Chip factory is the closest to York and, in my opinion, the best of the three snack food tours. Only offered by reservation on Tuesdays, the tour is the only one of the three that actually lets you onto the factory floor. While this does give you a great feel for the factory, the loud noise can make it a bit hard to hear your tour guide. However, you do get to sample chips fresh off the production line, so this more than makes up for any negatives in my opinion. For more information, check out my full review of the Martin’s Potato Chip Factory Tour. 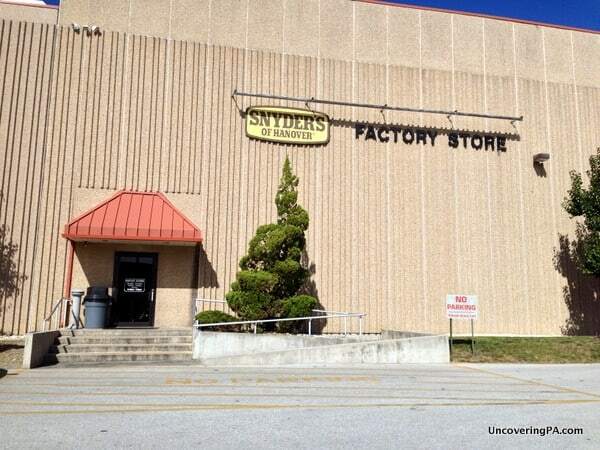 The entrance for the Snyder’s of Hanover Factory Tour and the factory store. Of all the snack food companies in Pennsylvania, Snyder’s of Hanover is the largest. Even more impressive, they are the largest pretzel manufacturer in the world! Because of this, their factory tours tend to have large group sizes and are a bit more impersonal than the others. Tours take place is a circa 1980s hallway overlooking the factory floor. While this gives you a great overview of the factory below, the large group sizes and small windows make it a bit difficult to fully understand the process of making pretzels. That being said, it’s worth taking the Snyder’s of Hanover factory tour just to see the sheer size of their operation. 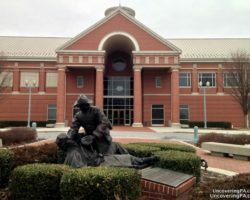 Read my full review for more information on taking the Snyder’s of Hanover Factory Tour in York County. 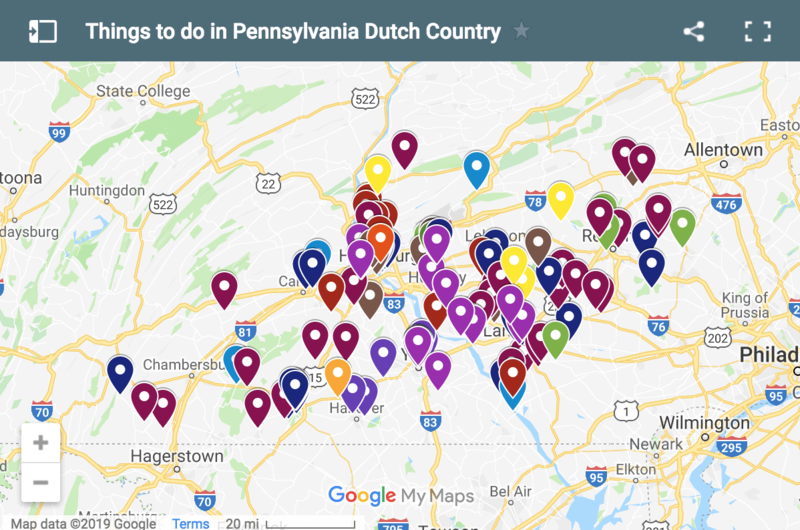 Utz Potato Chips is another huge snack food company in Pennsylvania Dutch Country, and their factory tour is definitely worth checking out. Unlike the factory tours at Snyder’s and Martin’s, the Utz factory tour is self-guided. Utilizing a series of large windows and audio narration, the Utz factory tour gives you the chance to experience the factory at your own pace. I was also surprised how well the narration explained the steps in the potato chip making process. 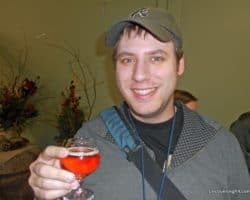 The main advantage of the Utz tour, however, is that it’s open more days a week than the other tours, and since you don’t have to make a reservation. 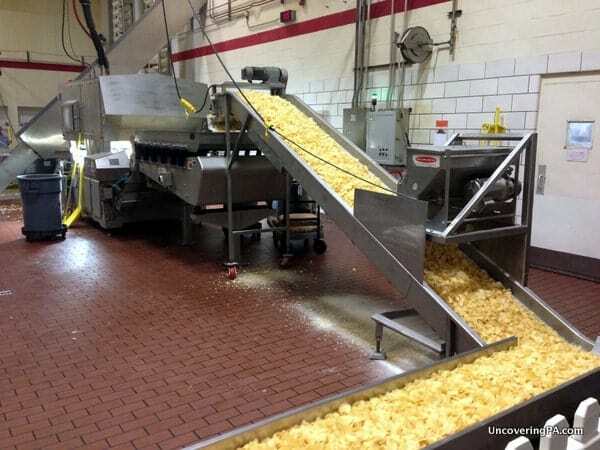 Click the link for more information on visiting the Utz Potato Chip Factory Tour. 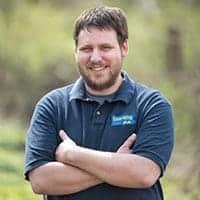 Looking for more great factory tours in Pennsylvania? 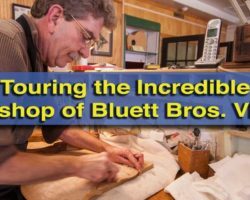 Check out Herr’s Snack Foods, Pulako’s Chocolates, BWP Bats, and Martin Guitars. 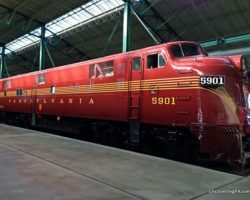 Want to visit even more factory tours in Pennsylvania? Click the link to find even more! Home2 Suites - The city's highest-rated hotel on TripAdvisor. Took my Iowan grandchildren to the Utz factory last summer and we all totally enjoyed the experience. Although it’s self-guided, there is a docent on duty to answer questions. Also, it allows for proceeding at your own pace which is a great benefit with little ones (age 2-9). I highly recommend the Utz factory tour.